Pill could reverse the damage done by dementia and other neurodegenerative conditions. A blend of thirty vitamins and minerals from natural ingredients has shown interesting results on the aging brain, a study has found. 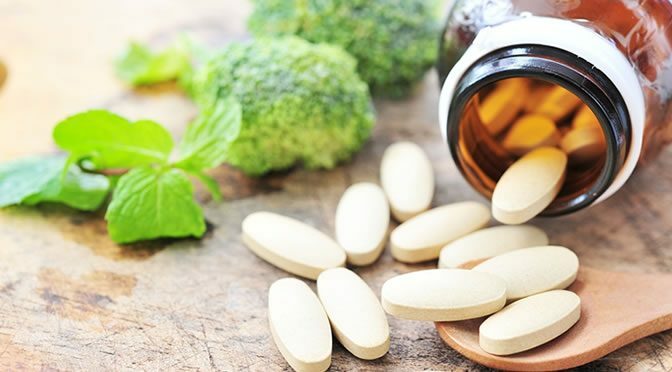 The blend of supplements — all of which are available in health food stores — contains anti-aging properties which have remarkable effects on preventing brain cell loss in mice. The researchers from McMaster University believe that this mixture could slow down neurological diseases such as Alzheimer’s, Parkinson’s and ALS in humans as well. The formula, which contains cod liver oil, green tea extract, B vitamins , C and D vitamins and other nutraceuticals, was designed by the scientists at McMaster University. Every day for several months the supplement was given to mice on small pieces of bagel. The mice had experienced severe widespread loss of their brain cells. In only a few months, the supplement improved multiple regions of the brain that had declined dramatically in cognitive and motor function. This is the equivalent of severe Alzheimer’s disease in human. Over time the cognitive decline and brain cell loss was completely reversed in the mice. “The research suggests that there is tremendous potential with this supplement to help people who are suffering from some catastrophic neurological diseases. Moreover, the mice gained extra benefits from this supplement including improvements in vision and smell. Within the next two years, the researchers are planning to test this supplement on humans with neurodegenerative diseases. The study was published in the journal Environmental and Molecular Mutagenesis (Lemon et al., 2016).